One of the nicest and easiest day trips from Rome is to Castel Gandolfo to visit the Apostolic Palace and the gorgeous Barberini Gardens. 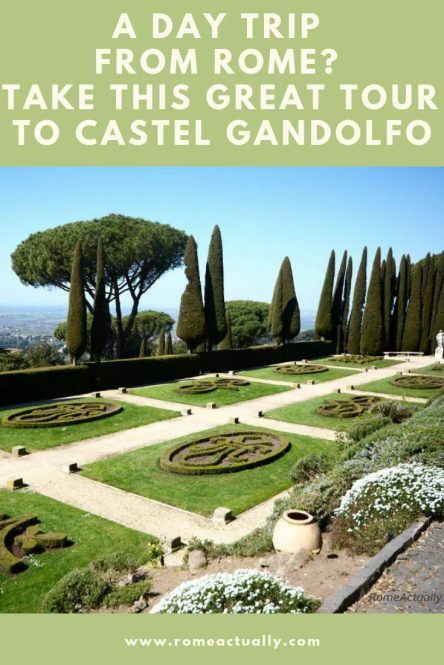 We took a tour to Castel Gandolfo with Take Walks (formerly Walks of Italy) and visited the Pope’s summer residence and gardens. Here is our full review. For the first time after centuries, the papal palace of Castel Gandolfo is open to the public. In 2014, Pope Francis decided that Apostolic Palace where all of his predecessors spent their summer was in fact too luxurious and it was better to open it to the public as a museum. We visited it with Take Walks, we admired the magnificent Barberini Gardens, we saw the luxury of the residence and we are writing the article so you can take part in our adventure. If you want to take the adventure yourself, book the tour with Take Walks and see the green heaven where until a couple of years ago the Pope spent the hottest months. Castel Gandolfo is a picturesque town in the area of what is called “Castelli Romani” (Roman Castles), a group of towns perched on the slopes of the Colli Albani hills. As soon as we arrived from Rome to Castel Gandolfo train station, we took the winding cobbled road set between the view of the lake and the hill towards the town. This road ends up right in the historic centre, close to San Tommaso church and the entrance to the Apostolic Palace. Barberini Gardens are really impressive. A green oasis with a fantastic view of the lake and the sea. The gardens were founded as the magnificent country villa of Roman emperor Domitian (81-96 d.C.), the Albanum Domitiani. After centuries of shifting ownership, in July 1596, under the Pope Clemens VIII, the Vatican seized Castel Gandolfo and Rocca Priora from the then owners, the Savelli family, who had refused to honour a debt of 150.000 ecus. During WWII, the Pope Pius XII opened the gardens to the local refugees, and since this was a territory of the Vatican, the German Army couldn’t enter. This saved thousands of lives. Inside the Apostolic Palace, the second stop of our tour after the gardens, we visited the pope’s bedroom that during the last war was turned into a nursery for pregnant refugee women. The babies born there were named after the pope, so Pio/Eugenio or Pia/Eugenia if baby girls. 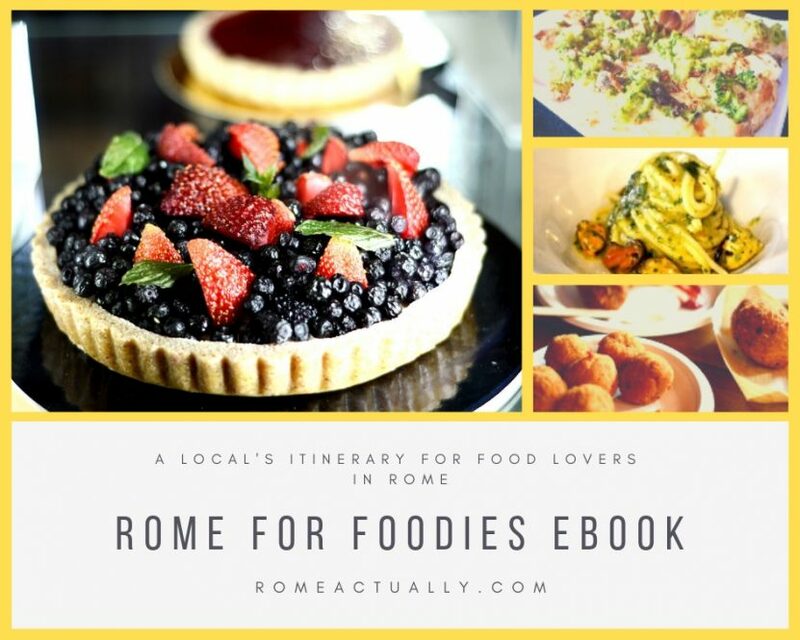 READ MORE: For more breaks from the hustle and bustle of the city centre, check out the other day trips from Rome you can easily take using the public transport! 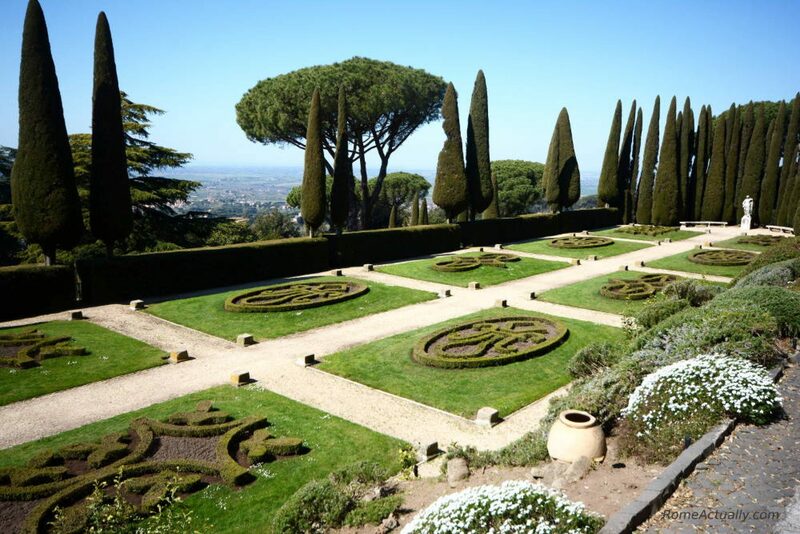 Our Castel Gandolfo tour started from the Pope’s garden, the magnificent Barberini Gardens. Here, our guide led us to the shuttle bus where we were given an audio guide that described the different areas and the history of the garden. On the shuttle bus, an employee of the palace will accompany you to tell you which number to press on the audio guide in the different parts of the pope’s gardens. The electric bus will stop in the most picturesque parts to give you the chance to take your pictures but you can’t get off. So you can stand only when it stops and when it’s driving, everybody needs to sit. It will take you all around the garden to discover its main areas, the different gardening styles, the ancient statues that survived centuries of robberies, and the beautiful fountains. After the gardens, we started the Apostolic Palace tour. Our visit started with the gallery showing the objects belonging to the popes throughout the centuries as well as their portraits. Also here you are given an audio guide that tells you what the different objects and clothes are as well as the life of the pictured popes. An official guide led our group through the main areas of the palace. We visited the audience halls, what was the office of the pope, the secretary and the secretary of the secretary (! 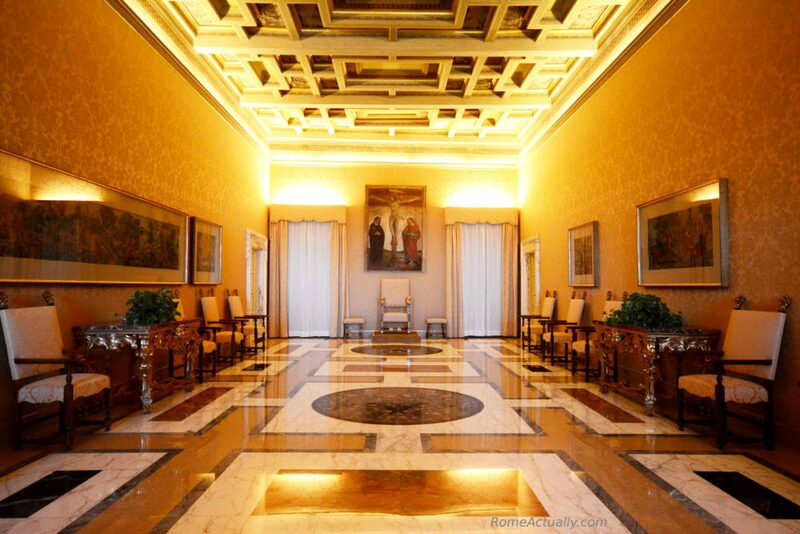 ), and a series of rooms where the pope would meet his guests including the adjoining waiting halls. 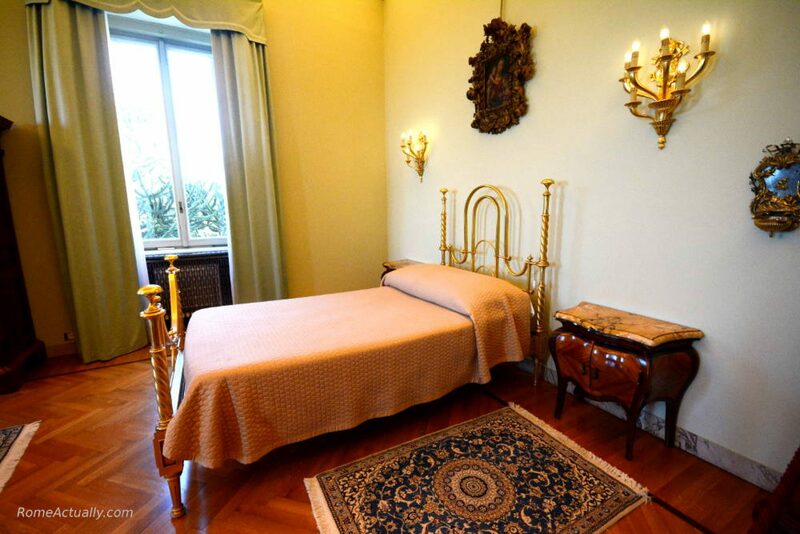 Finally, we entered also the pope’s private apartments with his bedroom. Click here for more info and to book the tour. After the papal palace, you have a couple of hours free time before your train back to Rome at 2.50 pm. 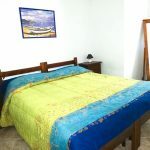 So you have the time to wander the alleys of the old town, visit the church of San Tommaso in the main square, take pictures of the gorgeous volcanic Albano lake and have lunch at one of the local restaurants in Castel Gandolfo city centre. If you visit Castel Gandolfo for the first time, we recommend also entering San Tommaso church. The tour with Take Walks gives you some free time after the visit to the papal palace. In these couple of hours, you can see the church, have a walk around the quaint city centre and have lunch at one of the local osterie that you find along the way. We ate at Hosteria “La Fraschetta” in the main road Corso della Repubblica 58. They serve the dishes typical of the Roman tradition, so expect pasta carbonara, amatriciana, cacio e pepe, gricia, with porcini mushrooms as first course. Among the second courses, you will find “coda alla vaccinara” oxtail, beef steak, tripe, “saltimbocca alla romana”, meatballs and more. Obviously, you will have a choice of starters and side dishes. Some other Castel Gandolfo restaurants where you can eat well are Il Grottino serving fish and seafood dishes, right on top of the road from the station in Via Saponara, Ristorante Paganelli (Via Antonio Gramsci 4) and Ristorante La Gardenia (Viale Bruno Buozzi 4). You will meet your guide in Roma Termini station at 8.30 am. You will take the train to Castel Gandolfo at 9 am. It usually goes from platform 20 but in case it changes your guide will let you know. This is why it’s very important to be on time. The train takes 40 minutes. You will have ten minutes for a coffee/croissant at the bar in the central square. Visit Barberini Gardens and Apostolic Palace. Everything will end around lunch time and you will have a couple of hours free to roam the city centre, take pictures and grab a bite. You will meet with your tour guide to get back to the station. The train to Roma Termini is at 2.50 pm. Carry a set of headphones. When you are touring the Pope’s gardens on the electric shuttle bus, you will listen to the audio guide. This comes in a sort of phone, but since you will also want to take plenty of pictures, it’s better you have your hands free, so a set of headphones to plug into the audio guide is recommended. Wear comfortable shoes. From Castel Gandolfo train station to the town you will have some ten minutes walk uphill. It’s not too difficult but it goes through a cobbled path and you will definitely want to wear runner or comfy shoes. Use a hiking/trekking pole. The uphill path is not that long nor too hard, but if you think you are going to walk more around the town or even stay longer in Castel Gandolfo and visit the Albano Lake, a trekking pole is recommended. Click here for more info about the tour and to book.